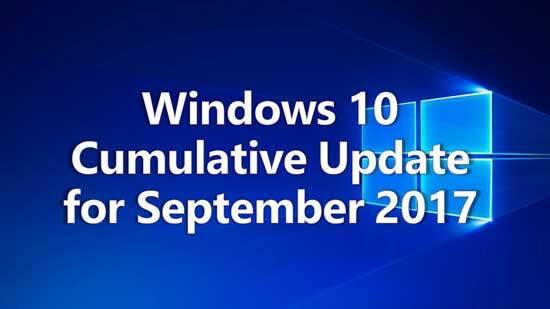 KB 4038788, the cumulative update for Windows 10 Creators Update (Version 1703, OS Build 15063.608) has been released by Microsoft on the patch Tuesday, September 12, 2017. 1. Click the Start and then type Windows Update to open it. 2. Choose Check for updates. 4. Following the on-screen instructions to complete the update. You are also able to download KB4038788 update via Microsoft Update Catalog. 1. Go to Microsoft Update Catalog and find the KB4038788. 2. Download the .msu file according to your Windows OS type. 3. Locate the folder where you’ve saved the file just now. 4. Run the .msu file and follow the on-screen instructions to install the KB4038788 update. After several PC Restarts, you will complete the install, and then you can check what the KB4038788 patch fixes. It is recommend to back up important drivers before upgrading to any Windows OS to avoid driver-related computer issues like video stuttering, AMD errors, bluetooth issues etc. since device drivers sometimes can be incompatible with the new OS. You can use Driver Talent to do so, a professional driver manager which is trusted by over 3,000,000 users, 200 countries and areas. Click the botton below to get Driver Talent directly. 1. Click "Scan" to make a thorough detection for all the Windows 10 drivers installed on your computer. 2. Turn to the Backup menu in the left pane. 3. Tick the drivers you want to back up and then click "Start" to proceed the backup. Note: If there are incorrect drivers installed on your Windows 10 PC, they will be listed after the "Scan". You can select either Repair or Update to get the proper drivers. Many issues also pop up after the KB4038788 Update, below are some main bugs. Except for the lifelong installation process or the KB4038788 failed to install bug, many Windows 10 users are reporting Windows boots to black screen after signing in after the KB4038788 Update is installed, namely the KB4038788 black screen. If your computer becomes lagging or extremely slow after installing the KB4038788 download, you may like to refer to the posts: Fix PC Slow on Windows 10 Creators Update and Fix Windows 10 Mouse Lagging/Freezing/Stuttering. If you have any doubt related to Windows 10 KB4038788 download or update, leave us comments below. You can also click the SUPPORT BUTTON on the left of this page or turn to our OStoto official forum for further discussion. If you get Windows driver-related issues, see Driver Issues and Fix. For Windows 10 specific problems and methods, check the Windows 10 Common Errors column for troubleshooters.